Are you worried about unnatural shine on your wigs? Well worry no more with the Wig Wand! 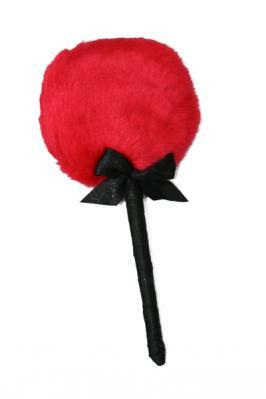 The Wig Wand is a red powder puff on the end of a black satin stick, containing powder that provides a matte finish to any wig. Simply tap the wig in the spot where it is shiny with the wand, say abracadabra, and viola! Style as normal and you will not have any worries about the wig being unnaturally shiny.